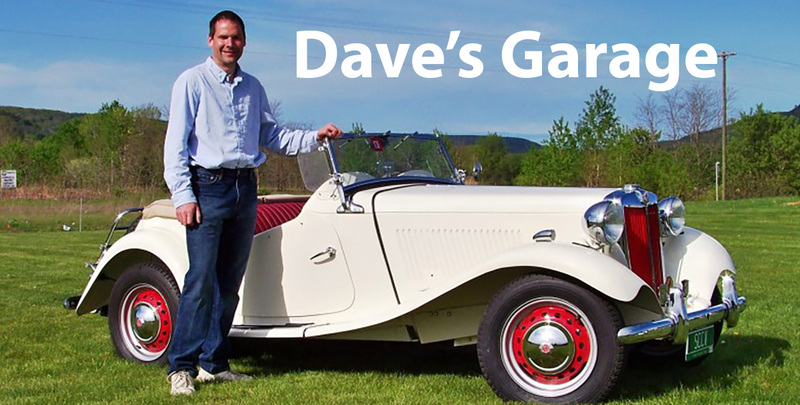 Recently I have had two cars in the garage for rust repair, a Saab 900 and an MGB. The interesting thing is, on each car the rust was caused by poor body work. Each car had plastic body filler repairing a dent. 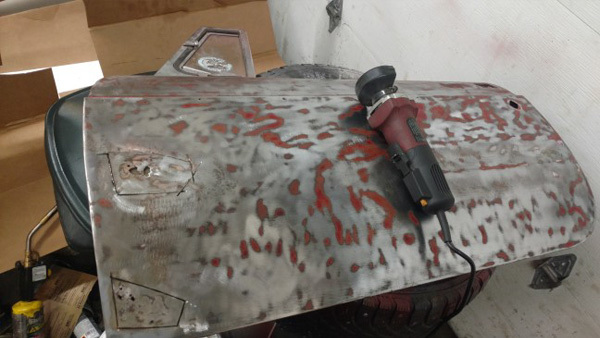 The body filler was applied to bare metal. At some point, the body filler cracked and moisture seeped in. Body filler does not stop water. 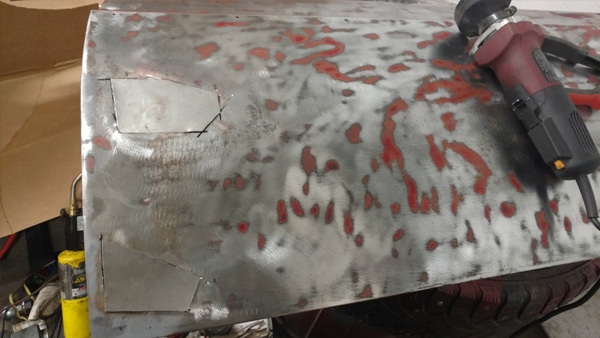 Water can creep down through the filler to the bare metal, and cause rust. 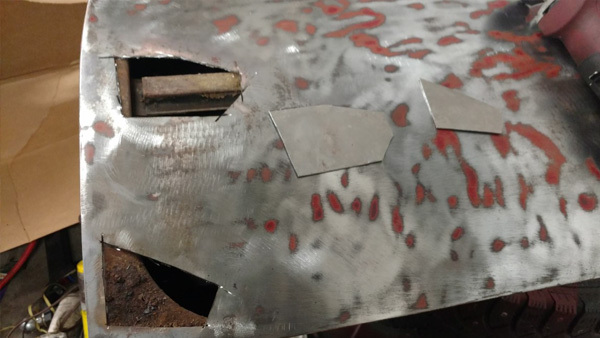 On each car the metal behind the body filler had rusted away, leaving rust holes. After I do the hammering and welding, I coat bare metal with epoxy primer BEFORE I apply any body filler. I also start with aluminum body filler first, then transition to traditional polyester body filler. Aluminum body filler does offer some resistance to moisture. To fix these rust holes, I used a cut off wheel to cut out the rusted metal. Next, I traced the cut out piece on new sheet metal with a sharpie marker. I carefully cut the piece out, subtracting about 1/16” on each side. 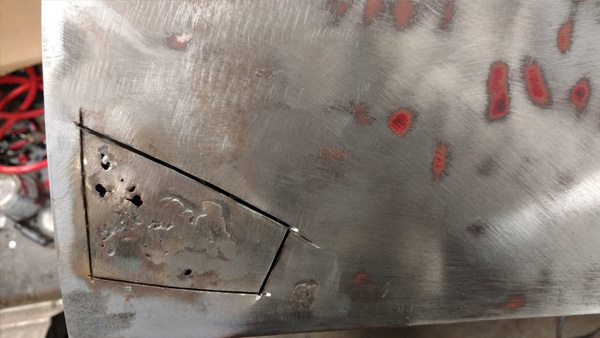 The new piece was carefully mig welded in, only welding about 1/4” at a time to prevent heat warpage. 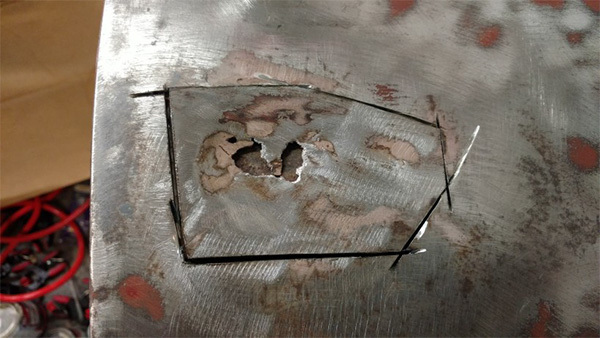 After the weld-ing is finished, the welds are ground flush and the metal is hammered flat. Next I apply a layer of epoxy primer, followed by a light skim coat of body filler.